Fostering a bright future for guitar curriculum. Everywhere. 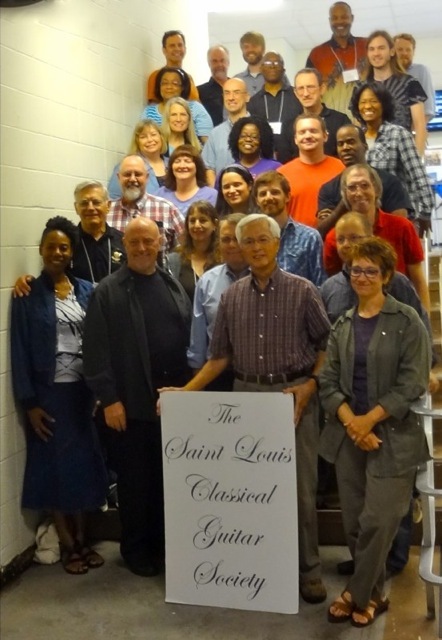 In addition to teacher training and program development in schools and at the district level, Austin Classical Guitar is deeply involved in leadership and advocacy for individuals and organizations seeking to grow and improve similar programs in their areas. ACG is helping teachers establish new guitar programs around the world, from Nepal to United Arab Emirates. Our education team assisted with the development of a national teaching congress in Nicaragua, and is helping to implement a new national orchestra system in Uruguay. In 2015, ACG hosted our first National Leadership Seminar with attendees from across the US, including Houston, San Francisco, St. Louis, and Salt Lake City.